This is a fantastic group of bold Brazilian Amazonite roundel beads Ken just finished. 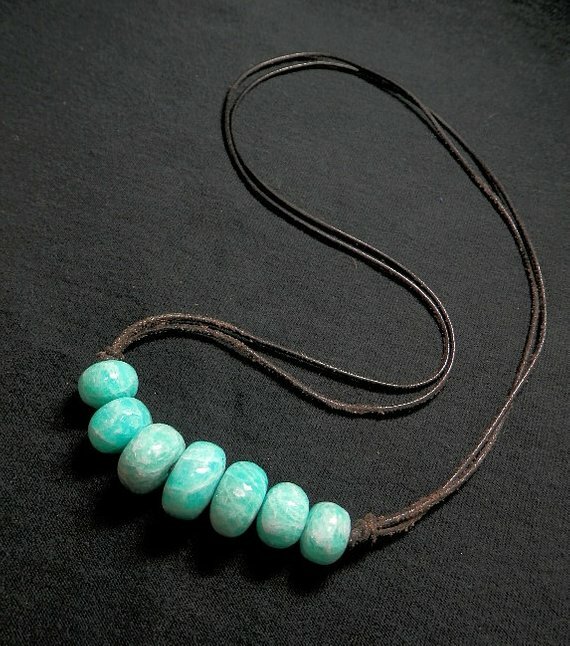 Amazonite has such a long history as a superior lapidary material, did you know that much of the inlay that looks like turquoise found in the tombs in Egypt is actually Amazonite? 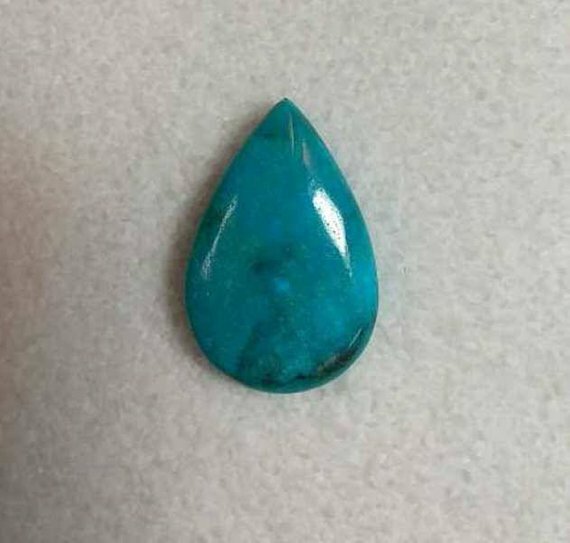 This stone has been used for thousands of years as a material for beads and cabochons and scarabs etc. It is one of my personal favorites. The color is translucent, bright and juicy! Not to mention that it looks super on every skin tone. 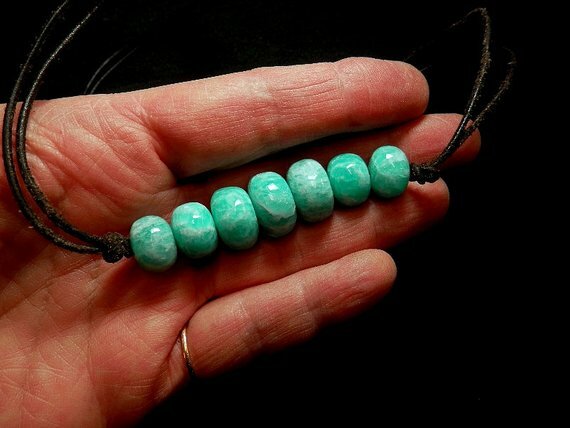 This 7 bead strand of hand carved beads is strung and knotted with slip knots and is ready to wear, or use them in your own fantastic design. 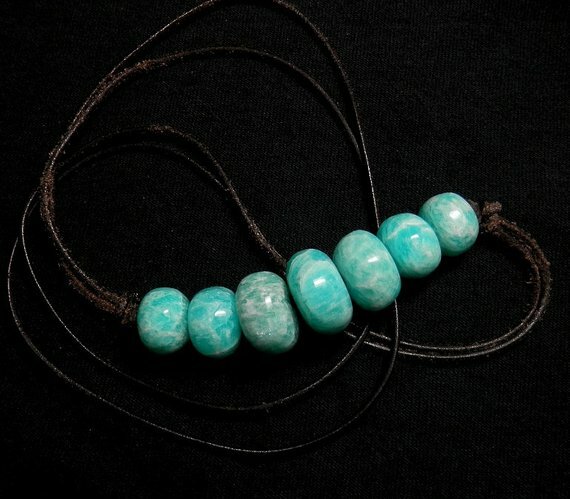 The bead strand measures approx 3" in length. The largest roundell bead measures approx.16mm x 8mm. Thank you for looking and as always, buy with confidence!